We offer truly unique dance classes for children and their families that are based on our critically acclaimed productions. A Day to Play is the perfect mix of performance by professional dancers with an interactive workshop designed for all the family to take part in (even the grown-ups!) Each session is led by professional dancers and our award winning director and first ever Artist in Residence at BBC Radio 2, Thomas Small. Each month, in partnership with brilliant cultural organisations in Dundee, we present brand new versions of our critically acclaimed productions that have toured the world, in the coolest locations! A Day to Play allows children and young people to be adventurous and explore creativity alongside expert pro dancers. The sessions help children and young people to develop their self-confidence through a range of stimulating exercises and encourage problem solving and collaboration with others. From the moment you arrive at A Day to Play until the moment you leave, you are immersed in new, exciting worlds! A Day to Play is intergenerational so they are suitable for children and young people from the age of 2 to 12 and we would LOVE for families to come along too and join in the playtime with a creative adventure with your kids. Carers, grannies, aunties and best pals are all welcome - the more the merrier! You don't need ANY experience to enjoy A Day to Play so come give it a whirl. No workshop is ever the same and there is NOTHING else like this in Dundee! So, come spend a magical Sunday afternoon with Shaper/Caper! Check out our programme of performance workshops below! Looking for something for adults? Check out The Shaper/Caper Social Club here! Sunday 8th December - 2pm to 3pm onboard HMS Unicorn. Far off the coast of Dundee, HMS Boohoo has sprung a leak and it's dastardly pirates are heading this way! They've heard about all the swag on HMS Unicorn and they're looking to recruit some bounty hunters at A Day to Play. Join Captain Caper in this swashbuckling Christmas adventure suitable for all the family. Part of A Very Unicorn Christmas! Family Fun Day and Fayre. 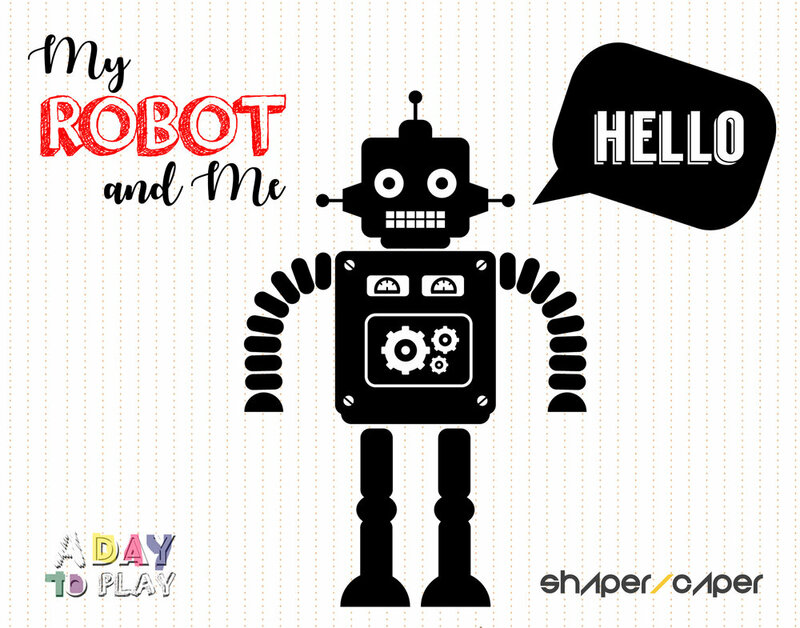 ALL of our previous A Day To Play events have sold out so book now so you don’t miss out!! Suitable for children and young people of all ages (2+). Adults are encouraged to join in and play along with their child. Click here for more information. PLEASE NOTE: THESE EVENTS ARE SO POPULAR THAT WE HAVE HUGE WAITING LISTS OF PEOPLE WANTING TO GET IN. IF YOU NO LONGER REQUIRE YOUR TICKET, PLEASE CANCEL USING EVENTBRITE AND THIS WILL AUTOMATICALLY GIVE YOUR TICKET TO THE NEXT PERSON ON THE WAITING LIST. IF YOU FAIL TO TURN UP WITHOUT CANCELLING YOUR TICKET, ALL OF YOUR FUTURE ORDERS WILL BE CANCELLED WITHOUT NOTICE. Dates for 2019 coming soon! If you live in Douglas or Whitfield areas of Dundee, check out our More Days to Play project funded by Big Lottery's Awards for All programme! Rebecca has a robot. Rebecca and Robot like to ride rollercoasters, rap, rock out, race and ramble. They're rather rambunctious rascals! But Robot is getting old and Rebecca's friends think she should get a brand new model. But what should she do? Date and tickets will be released soon!